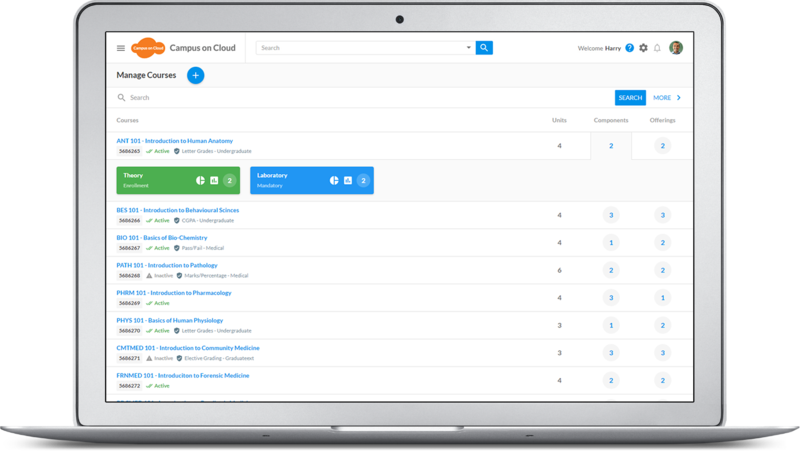 Campus on Cloud (CoC) is a student information system built on the Microsoft Azure cloud platform. 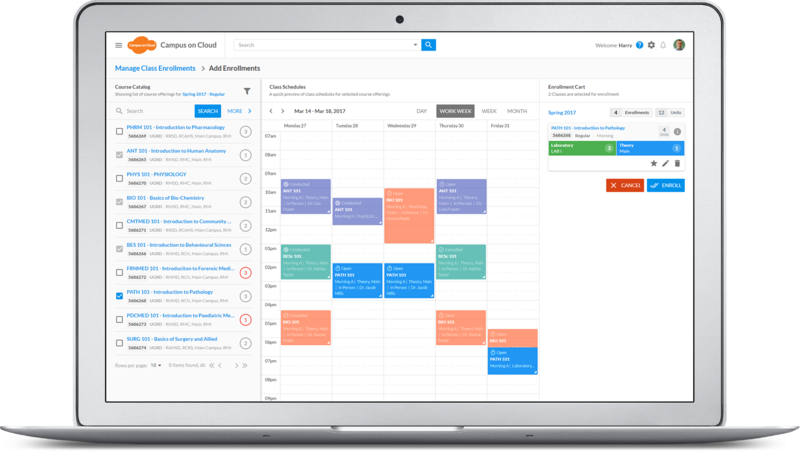 Campus on Cloud delivers rich functionality in a highly secure solution with a stunning user interface with the configurability and flexibility required to address your needs. The AlmusNet team has 10+ years of experience delivering Higher Education solutions across 10 different countries and we have leveraged our deep domain knowledge to deliver a modern, cloud-native Student Information System. 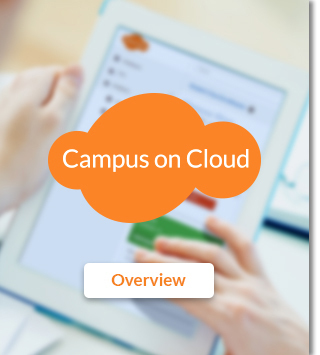 Campus on Cloud covers the complete student lifecycle: from admissions through graduation. It manages the three major operational areas for an Educational Institution: Admissions, Academics and Student Financials across all campuses, schools, department and programs in a single integrated solution. Define Institutional structures for both Academics and Administration. 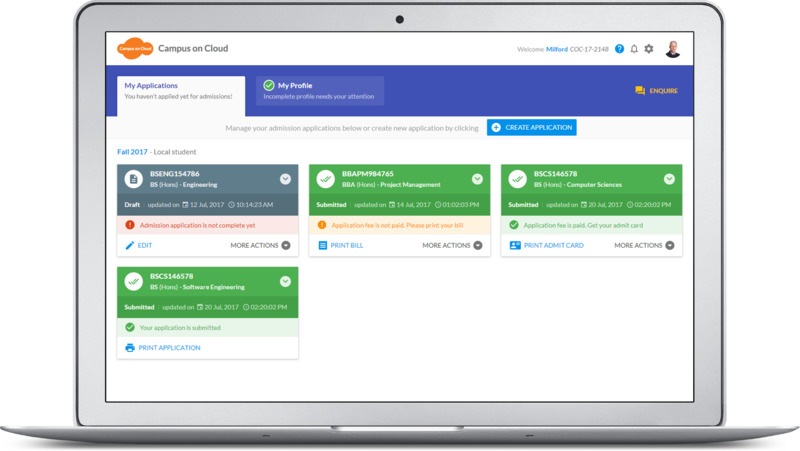 Manage policies across the entire Institution. Recruit, accept applications, evaluate, select and admit the most suitable students. Configure and launch online Application for Admission in days. Process applications (both online and paper). Evaluate applications with your own criteria. Manage key academic functions throughout the term. Support batch and self-service enrollment. Rollout a faculty portal and provide quick access to relevant tasks. Setup Gradebook and manage all your grade related data. Generate student transcripts and other reports. 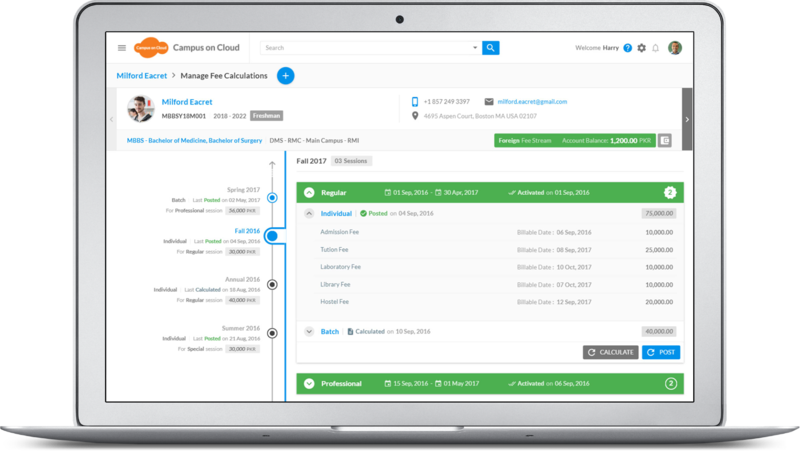 Manage the entire fee lifecycle for students. Define rules to charge Tuition and Fees as required. Generate bills and manage Receivables. View your enrolled Courses for all Academic Terms. Stay updated on the latest Course Schedules. Ensure your Attendance Health compliance. Review and Monitor your Academic Performance. Gain timely insight into your Course Grades. Manage your Financial Account and Bills. Newbridge Institute is an upcoming educational institution in South Africa with the goal of effectively preparing students for academic, personal and professional success. Educor Holdings (Pty) Ltd. is the largest private education provider in South Africa offering higher, further and vocational education through face-to-face, distance and online learning courses. Copyright © AlmusNet. All rights reserved.